A year ago, I can honestly say that I didn’t even know what a “slab pie” was. Now that I do, I literally cannot stop making them! 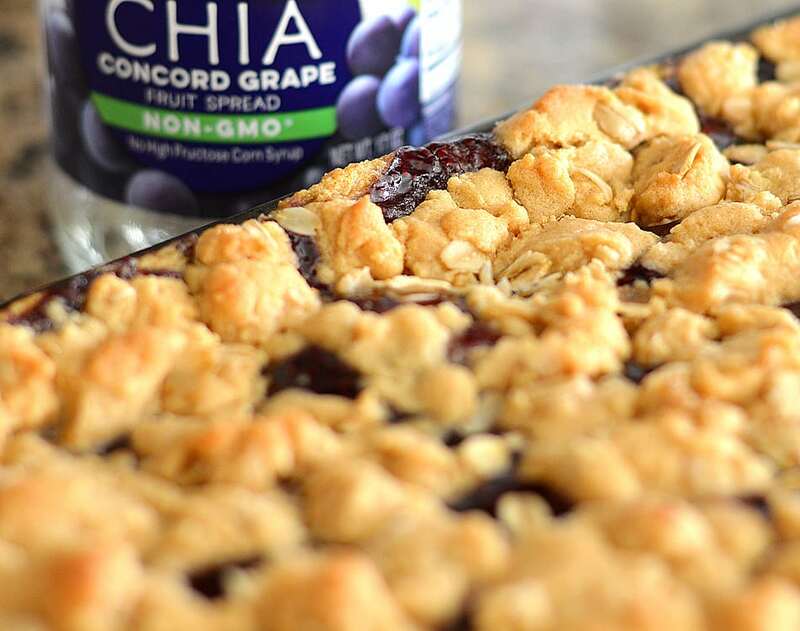 This Peanut Butter and Chia Jelly Slab Pie is made with the new Welch’s Chia Concord Grape Fruit Spread. I went for the classic Concord Grape as a throwback to my childhood favorite PB&J, but the Chia Fruit Spread also comes in strawberry if you are interested. So let’s get back to the slab pie. If you are unfamiliar, a slab pie is simply a shallower version of a regular pie made in a sheet pan (or quarter sheet pan, as featured here today). It’s great to make with kids as it is nearly fool-proof and because of its design, serves more people! 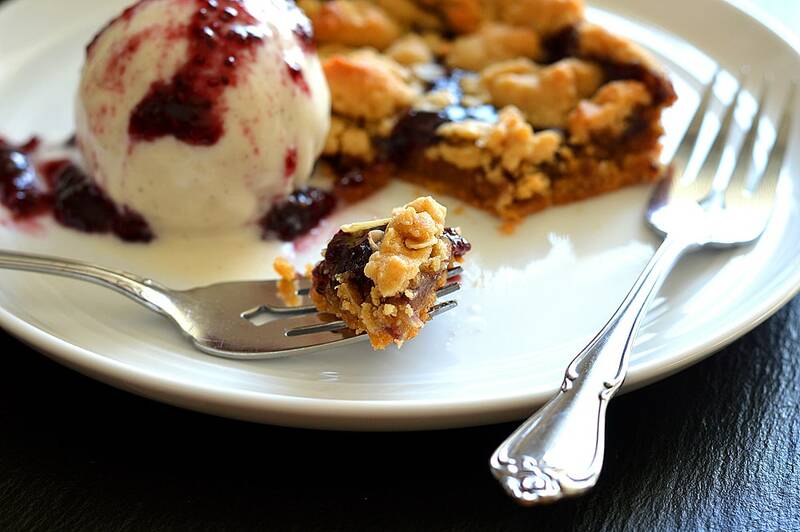 The base of of our Peanut Butter and Chia Jelly Slab Pie is made from a pretty typical peanut butter cookie dough. I take about 2/3 of that dough, evenly distribute and press it into the pan. Next comes the Welch’s Chia Concord Grape Fruit Spread. I used an entire jar for this recipe (less a few reserved teaspoons for topping the ice cream). 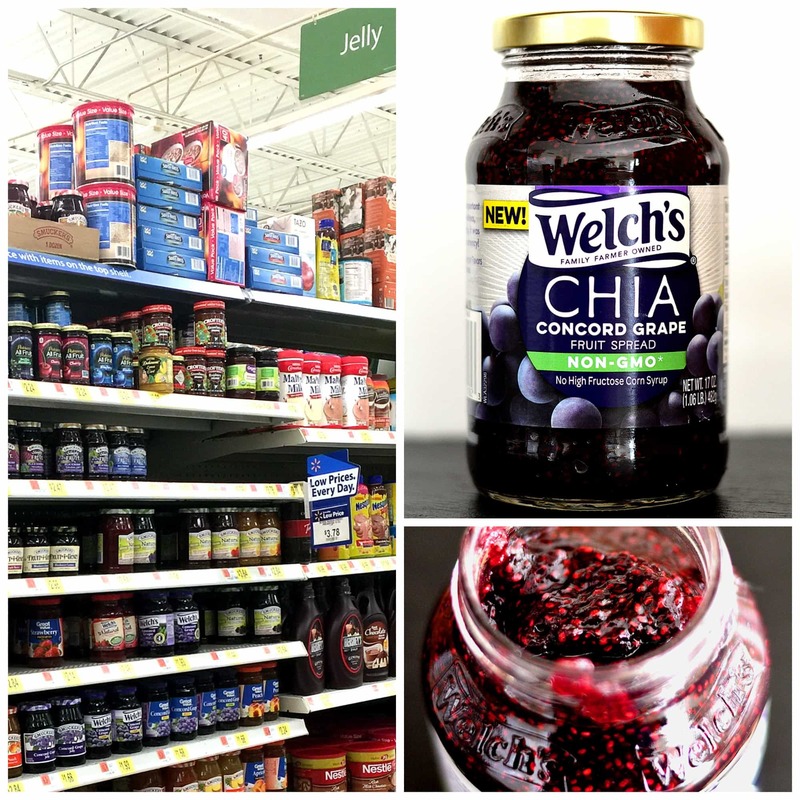 I just love the fact that Welch’s is so on-trend and created a fruit spread with Chia seeds. It’s incredibly delicious! I found the spread at my local Scottsdale, AZ Walmart in the jelly aisle. I actually think I may have purchased their last jar. Obviously very popular already. I warmed it slightly to make spreading it over the base super quick and easy. This natural grape spread with over 700 added chia seeds per jar is non-GMO, contains no high fructose corn syrup and is make with real sugar…no artificial sweeteners, flavors, colors or preservatives. Our final layer is the remaining 1/3 of the peanut butter dough mixed with some oats and sugar. This mixture gets crumbled over the top. The slab pie is baked until golden, about 15-20 minutes. I personally cannot resist any cookie straight out of the oven, but since this is fruit we are working with…it’s really hot so you need to allow it to cool and set. Once cooled, cut into portioned slabs. I almost forgot to mention, I served a bit more of the warm chia fruit spread over the almond milk vanilla ice cream. Oh my gosh…in and of itself? Amazing. To learn more about Welch’s Chia Concord Grape Fruit Spread, you can visit this link or any of their social media channels: Facebook, Twitter, Instagram, Pinterest and YouTube. 1 Egg or Egg Equivalent (if vegan) such as 1/4 C Applesauce, 1 Tbl Flax + 3 Tbl Water, powdered egg replacers, etc. 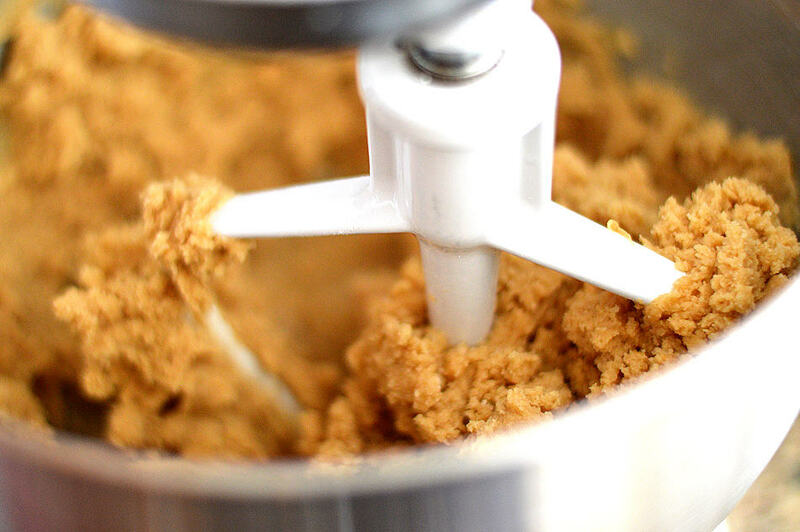 In the bowl of an electric mixer, beat the vegan margarine and peanut butter until combined. 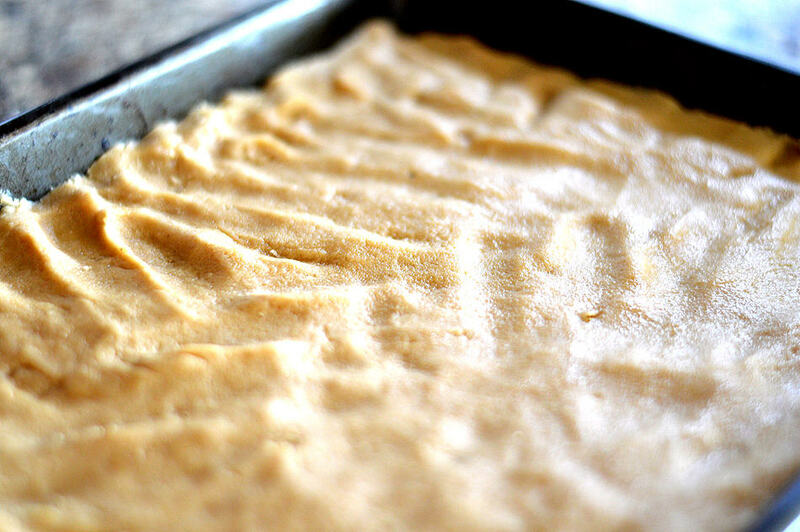 Add the remaining dough ingredients and using two thirds of it, press into a quarter sheet pan. If you don't have a quarter sheet pan, you can either double the recipe for a half sheet pan or use cake pans. Whatever you have on hand will work. 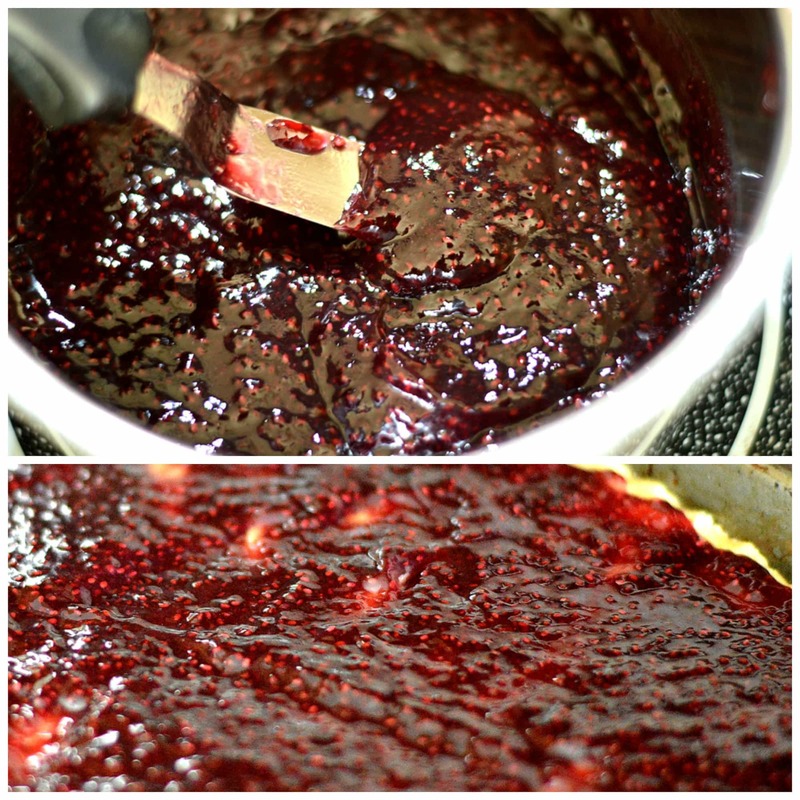 In a small pan over low heat, add the chia spread. Evenly distribute the spread over the base layer. 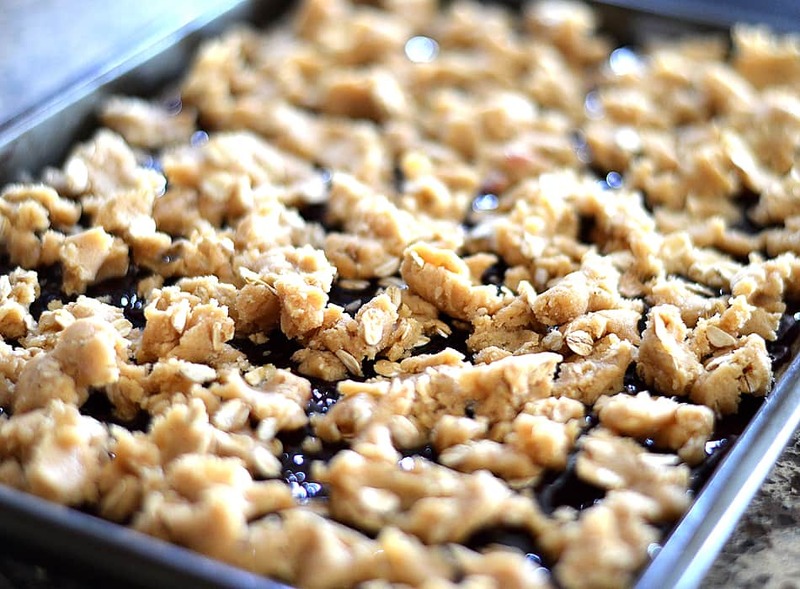 Add the oats and sugar to the remaining 1/3 of the dough and crumble it over top of the chia spread. Bake for 15-20 minutes or until set and golden brown. Allow to cool completely before cutting. 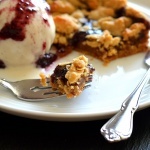 Slice the pie into slabs and serve with non-dairy vanilla ice cream. I’ve never heard of slab pie before! This looks easy to make and I love the use of the chia fruit spread. Can this be made gluten-free?